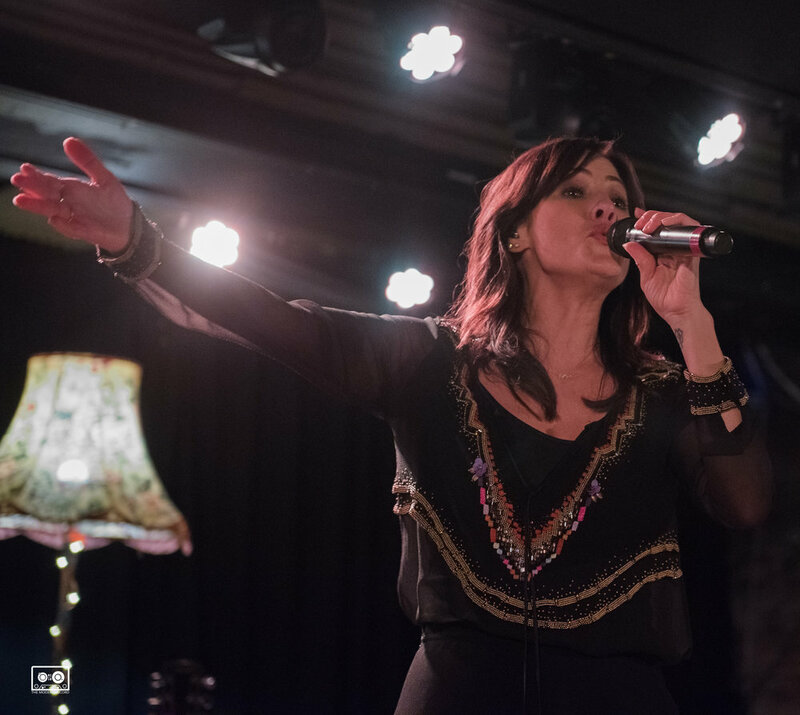 Last year Natalie Imbruglia enjoyed her acoustic tour so much she set out to do it all again in 2018: visiting cities and venues she hadn't reached with the previous shows. The Australian-born singer toured Europe extensively in celebration of the 20 years since the release of her debut album Left Of The Middle. The first of two Scottish dates landed her in Glasgow, a city with an audience that she particularly enjoys. The feeling is clearly mutual as the 550 capacity venue is sold out with punters still looking for tickets only hours before the gig. 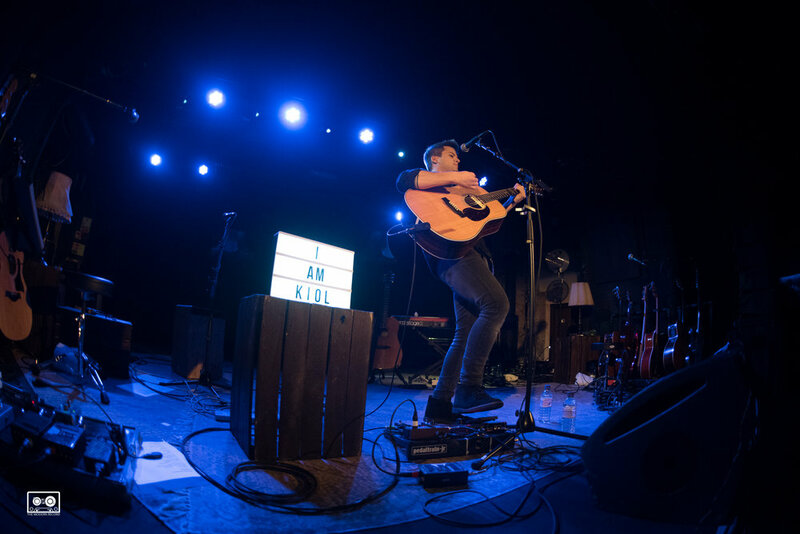 Italian singer-songwriter Kiol delivers more than adequate entertainment as support for this tour. His songs - a combination of jaunty folk-pop and hard-strummed upbeat earworms - are delivered with the hunger and joy of an A-grade busker. 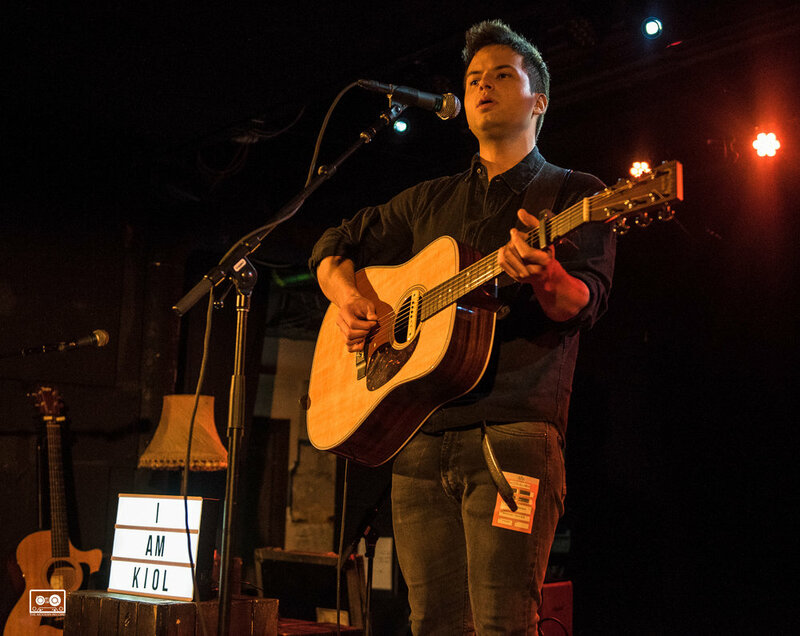 Playing mostly song from his 2017 EP 'I Come As I Am' he offers himself to a new audience, describing how he was introduced to folk music in Ireland and worked with members of Paolo Nutini's band on his recent single 'Hard Things'. His charm is enough to get the crowd clapping and singing along for more than just the odd chorus ('Broken Up Again' is a particular highlight) and he leaves the stage with a big smile on his face, after the obligatory "Look I'm on stage" photo is done. 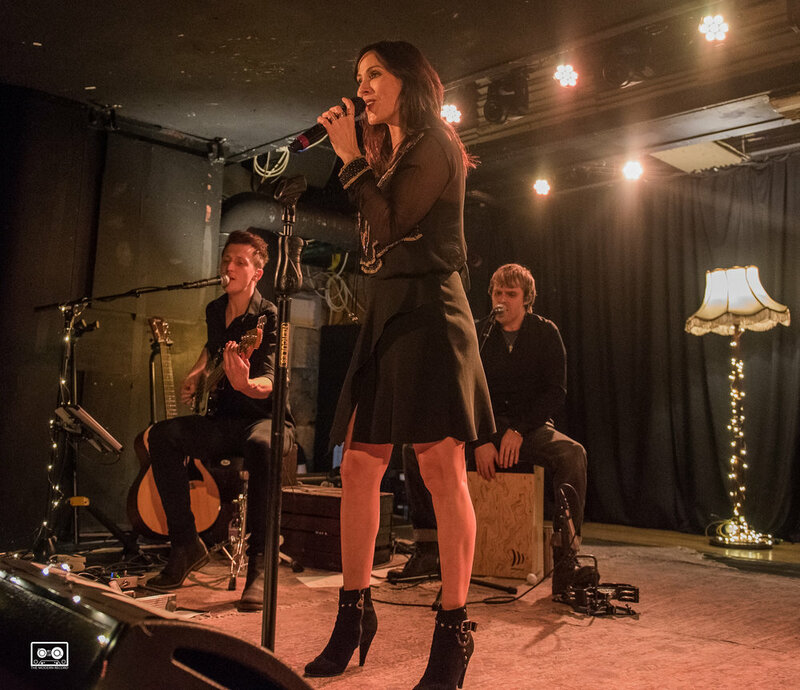 Imbruglia's set opens with her 3-piece band taking to the stage moments before she emerges shimmering in sheer black with gold sequins, and that iconic wide-eyed, dimpled smile. She appears as radiant as ever and is met with enormous enthusiasm so that the first lines of 'Wrong Impression' are drowned out by applause. Surrounded by fairy lights and vintage lamps, the band appear cosy and at ease. "I want to bring you into my world a little" Imbruglia explains of her setting, "...it looks just like my lounge room". Indeed it is beautifully intimate and unfortunately some fans get a little too relaxed, chatting away constantly as if the performance on stage is somehow aside to their evening's entertainment. She draws them back in though, time and again, with her unwavering eye-contact, playful dance moves and of course, irresistible songs. Her voice has a huskiness to it but the notes and words are delivered with absolute clarity and precision. She lets out a belter on 'Counting Down The Days' at full voice and for just a few seconds you think this might be it - the moment of elevation - but sadly it doesn't last and she returns to a gentle delivery. Early songs like 'Beauty On The Fire' and 'Pigeons And Crumbs' work this to their advantage and of the latter, the singer muses on the transportative quality of music to draw you back to a very specific time and place. It's true; these songs do have a certain tone and energy about them, lyrically from a time when pop music could be intellectual, emotive and catchy all at once without feeling contrived or insincere. This is especially apparent when Imbruglia invites her long-term songwriting collaborator and Scottish musical legend, Gary Clark, to perform one of their songs 'Butterflies' from 2001's 'White Lilies Island'. Born out of Imbruglia's "angst" phase followed soon after by the lead single 'That Day' from the same album, these songs are heavy on words that encapsulate coming-of-age naivety and romantic anxieties. Looking at the singer today you could almost forget how long ago these songs were written, or how young she was when she penned them; her performance is timeless and the integrity of the emotions is buoyed by the quality of her voice, even if the urgency of 'That Day' is lacking slightly for the sake of breathing. The set winds toward a natural ending with big singles 'Shiver', crowd favourite 'Smoke', and 'Torn' before finishing with a cover of Daft Punk's 'Instant Crush' from her last album, 2015's 'Male', which has fans singing along and dancing in spite of the acoustic beats from the cajon. Not getting away without an encore the band returns to the stage for 2 final songs, the spirited and optimistic 'Intuition' and venomous hit 'Big Mistake'. This isn't a nostalgia tour. It's a varied set showcasing some of the finer moments in pop from the turn of the century but unmistakeable at the fore is that voice, as classic as the pop songs themselves.